A place where Lord Buddha left his foot steps nearly 2500 years ago while travelling in the quest of enlightenment, Bodh Gaya resonates the silent vibes of those sacred steps. Sarnath is, perhaps, the naturally most beautiful Buddhist pilgrimage, with a calm and cool atmosphere that silently preaches tranquility and peace. 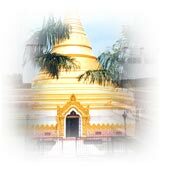 Kushinagar is another Buddhist destination, worth a sincere admiration, due to the serenity, rich history, and the splendid structures of Buddhist root. A prime Mahayana Buddhist monastery in Arunachal Pradesh, Bomdila Monastery is a replica of Tibets Tsona Gontse Monastery. Everything that is said in the glory of Bodhgaya falls short because of the reverie and the sacredness associated with the site. The name, Lamgao in Goa finds its Buddhist origins meaning abode of the Lamas the monks of Tibet. The old city of Junagadh famous for forts also enjoys the ancient Buddhist connection with its caves and Ashokan Edicts. 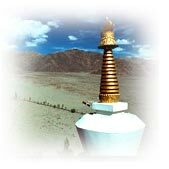 Located in, Assandh has more than 2000-year-old Buddhist Stupa in India. Elevated on an earthen platform, the brick stupa is 25-metre high and 75 metre wide. Famous for its floating islands of reed on sacred lake, Rewalsar District has strong Buddhist connections apart from its relations with Hinduism and Sikhism. The land of lamas, Ladakh sheer bliss is blessed by the presence of many monasteries and their spiritual practice. 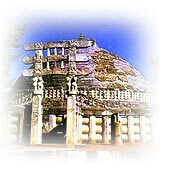 Sanchi Hill is a revered world heritage site featuring 50 Buddhist monuments including 3rd century monolithic pillars, palaces, temples and monasteries. Ajanta Caves are timeless and exquisitely eternal. Belonging to 2nd century BC, this artistic arc of 30 rock cut caves is blessed with a mystic aura ruling its creative excellence. 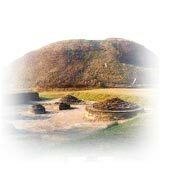 Dhauligiri Hill was a powerful site which transformed the violent streak of Ashoka the Great into the calm and compassionate follower of Buddhism. Established in 1701 by Chogyar Namgyal, Dubdi is the oldest monastery in the state, serving an ideal spot for monks seeking meditational recluse. Kanchipuram Monastery served as the largest Buddhist center in Tamil Nadu during 2nd century CE. The hilly hamlets of Darjeeling hill station is a home to many monasteries and revered gompas. Buddhist Archaelogical remains are also found in Kavaratti and Andrott islands. Why would one go to caves, inhibit there, and leave it abandoned? Ladakh is fascinating, proved again, by the beauty of another monastic village called Alchi. Dharamsala (Mcleodgani) is in Kangra District of the state of Himachal Pradesh. Ellora caves are more important to see the common threads of the three different faiths. This beautiful monastery, specially known for its colourful festival. Junnar caves are also an important destination for the Buddhist pilgrims. Kanheri caves, perhaps, are the most easily reachable among all caves. Sankisa is related to many Myths pertaining to Lord Buddha, especially his descending from the heaven. Sravasti, capital of an ancient kingdom by the same name, is sacred to the Buddhists. The stupa is the largest in the world, with a height of 104 ft.
Lalitagiri is also a well-known tourist pilgrimage, especially for Buddhism. Leh is the district headquarter of Ladakh situated at an altitude of 3500 metres. 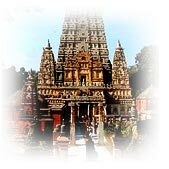 A major pilgrimage site, venerated by the Hindus from all around, Mathura is a highly revered place. Built on a hallowed site where the Buddha had often stayed. Tabo is located at a height of 3050 metres in the magnificently isolated Spiti Velly of Himachal Pradesh. Udaigiri is an important Buddhist pilgrimage in the state of Orissa, special due to its caves, which house some of the most antique sculptures. The island takes its name from the Buddhist monk, Nagarjuna, who lived around the turn of the 2nd century AD. Surrounded by five holy hills, the picturesque little town of Rajgir is important for Buddhists. Rumtek 24 kms. from Gangtok in Sikkim, is the seat of his holiness.